“Assembled” vs. “Made”, What is the Difference? Two weekends ago I spotted an op-ed piece by Thomas L. Friedman. In this piece he reviews a book by Erik Brynjolfsson and Andrew McAfee’s called, “The Second Machine Age”. This book is their sequel to their very popular book called, “Race Against The Machine“. The main idea of their books are that technological advancement is happening faster that ever before and there are ramifications to the fast pace or technological progress. There is some good and some bad side effects ( I am down playing it here a bit. Your will see why in a few). This relates to how we manufacture products in developed countries and what it really means when we say “Made” vs. “Assembled”. When is a product assembled and not made? 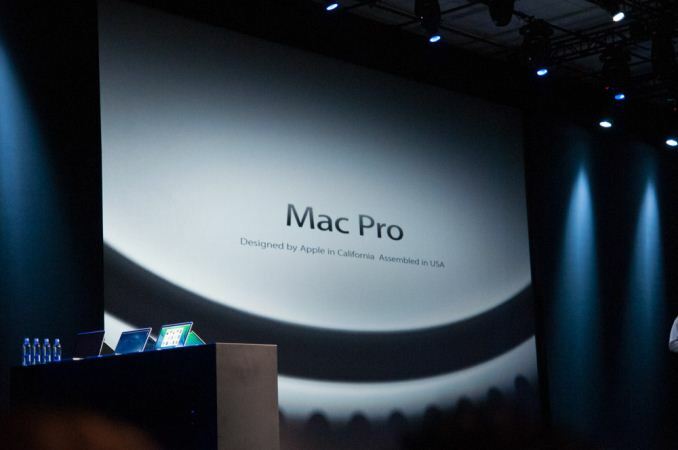 If you are a tech person you are aware of the new Mac Pro that Apple release on Thursday, December 19 2013. Sorry Apple for using you as an example (I own a Macbook Air, an iPhone and an iPad mini). There were several articles such as this one by Time that characterized the building of the product in the USA. This is not true. The Mac Pro is assembled in the USA. You might ask what is the difference? There is a huge difference. Just because the factory is located in the Arizona, USA does not mean the entire product is made in the USA. Also it does not mean there will be a ton of new jobs created. On the contrary it is the exact opposite. Few jobs are created. “Made” implies that the product and components are built in that location. Everything. There are also other implications that people assume with “Made”. Such as, there are people in the factory on an assembly line and people at stations building components. That was true and in some situations is still true, but less and less people are making things today. Robots not humans are making things more and more. People tend to think that since there is a factory then there must be people in it making and building. “Assembled” means that the components are made some place else and brought to the factory to be assembled into a finished good. This requires even less people at the factory. Even less in the future. Machines do the assembly. Again not many people needed in this process. People were over joyed that “Apple is bringing manufacturing back to the USA and leading the charge for manufacturing in the USA. Bringing back jobs”, but that is the furthest from the truth. As an American I was happy too, but having a new factory built does not mean there will be jobs. That is what is elegantly discuss in the Thomas L. Friedman piece and the two books I mention. In the not to distant future 5-10 years as we get closer to autonomous robots the numbers of people in the factories will get closer to zero. The good thing about that is the factory location can now be located closer to the consumers and the factories could handle customizations at a low price. This is a boon for the manufacturers too, logistics (getting the product to the consumer) become easier and labor costs are reduced to near zero. The not so good thing is that this will not increase employment, but reduce it. As machines get smarter (faster and cheaper) they will replace people in many jobs. As a society we need to decide where and how far this should go. There needs to be a way to balance this out. As a technologist I am excited about the potential. As a member of society I am concerned. Should I be? Top image is from anandtech.com Thank you.